Chic and stylish with hints of playfulness in its curving retro form. 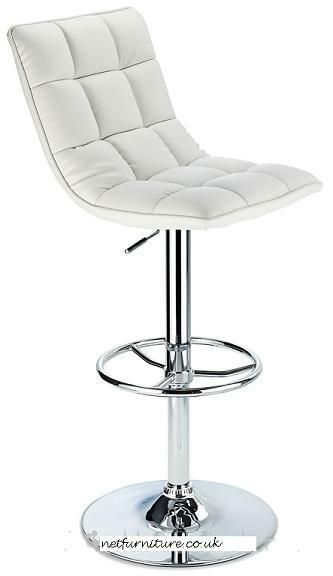 This stunning bar stool would be a stylish addition to any kitchen or bar area. Leather effect back and seat. Height adjustable from 82 cm to 103 cm. Approx. 45 x 82-103 x 51.5 cm. 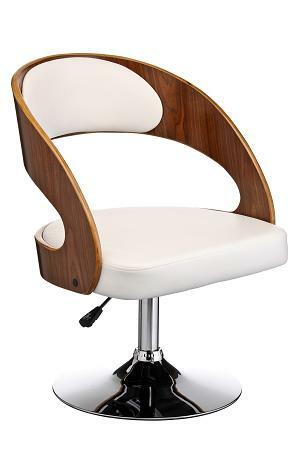 White leather effect with walnut wood armrests. Shiny Black leather effect with walnut wood trim. The seat is filled with a high density foam. The base and footrest are chrome. The footrest is for additional comfort. 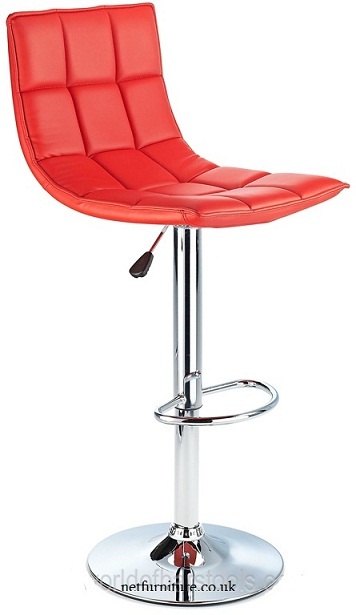 This bar stool added to your home will be the envy of all your friends. The seat and backresthas a contrasting stripe on side. 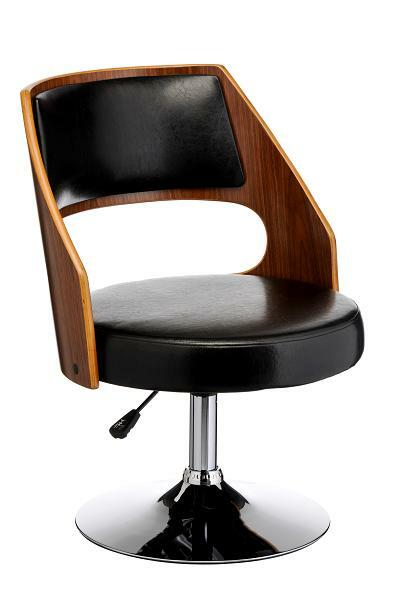 The Harvard is height adjustable and seat swivels 360 degrees. 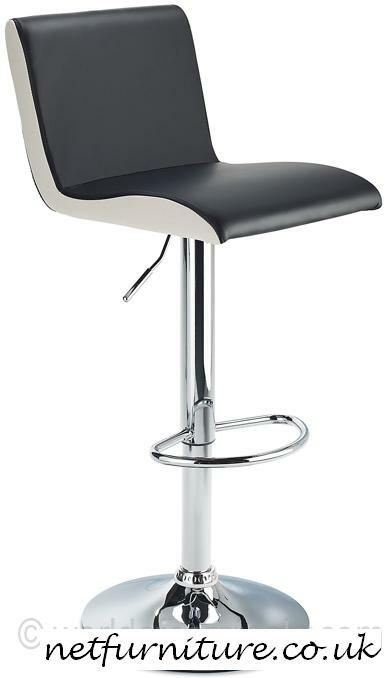 The bar stool seat and back rest is made of faux leather black with a white stripe. Sturdy construction and easy to maintain faux leather. 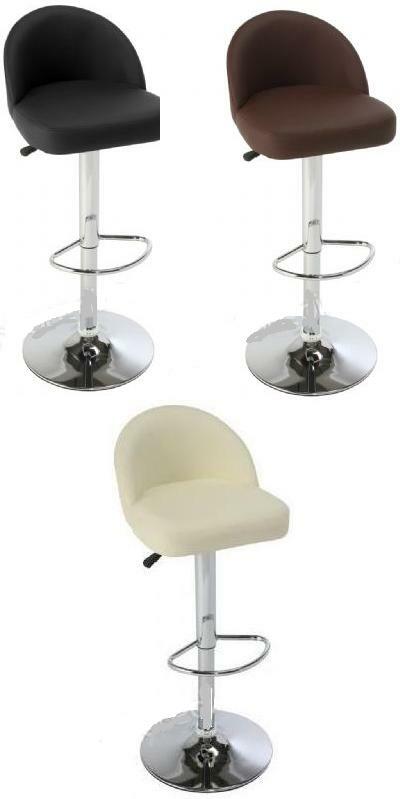 The seat and backrest is available to buy in either black or cream. 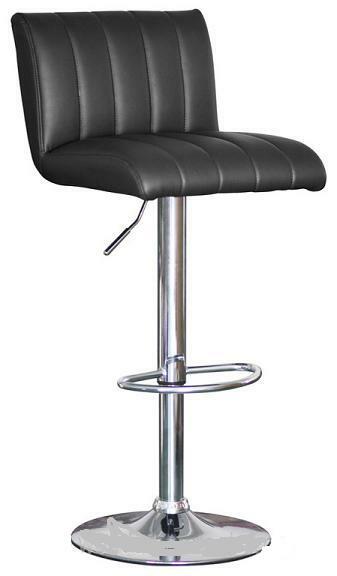 Terfa Breakfast Bar Stool - Black Seat and Contrasting Side Panels, Height Adjustable. The seat and backrest is Black with a contrasting white stripe. 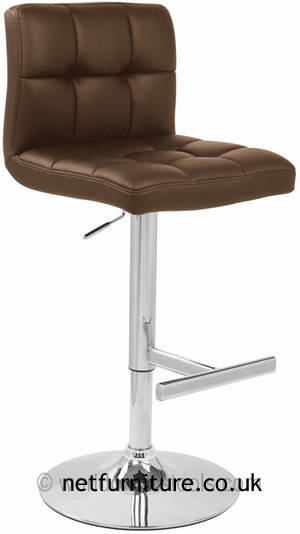 The Merchant bar stool speaks nothing but style and sophistication. 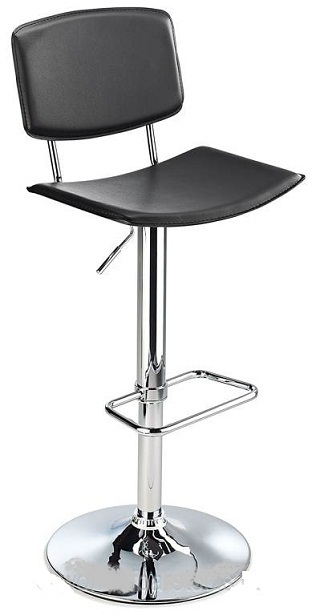 his stool is finished in a hard wearing black pvc across the main body, and the base and stem are finished in chrome. 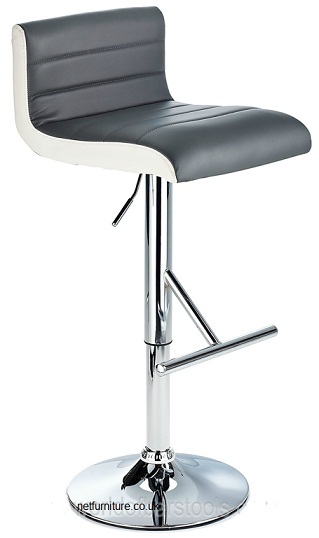 It is both stylish and practical, which makes it a very popular stool for commercial use too. 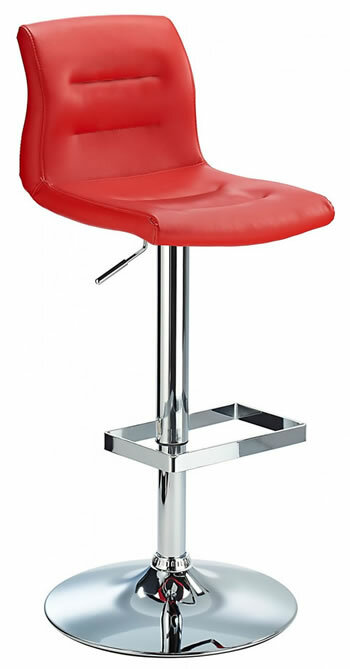 The gas lift mechanism makes adjusting the stool height very simple, and it also swivels 360 degrees. 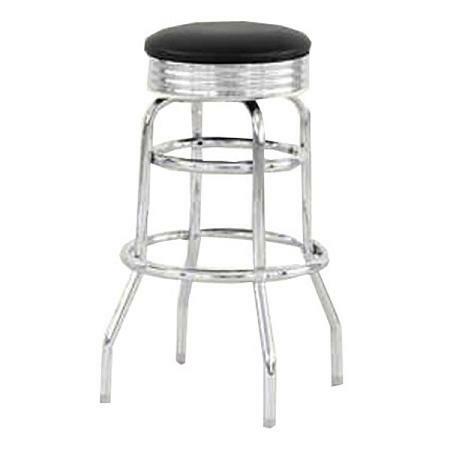 The ultimate in diner style, this stool screams of the 50's and all the mystique those years hold. 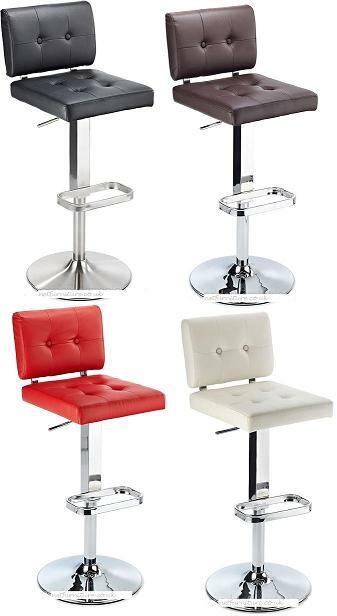 A perfect finishing touch for your dining area or bar. 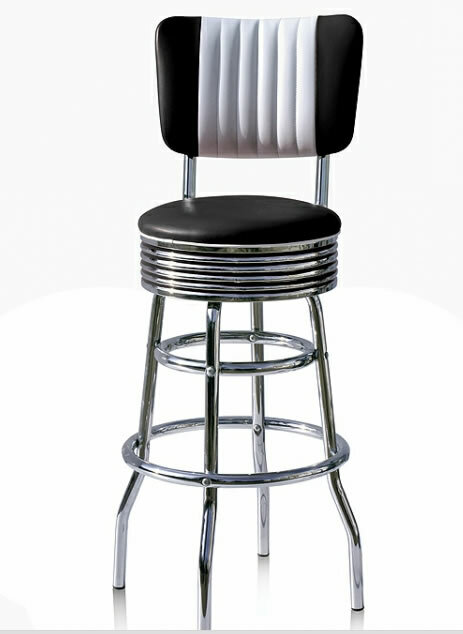 The ultimate in diner style, this stool screams of the 50's and all the mystique those years hold. The stool has a 19-gauge steel frame with chrome-plated finish and high grade Naughahyde seat top. The stool top pivots up to 360 degrees and does not have adjustable legs. 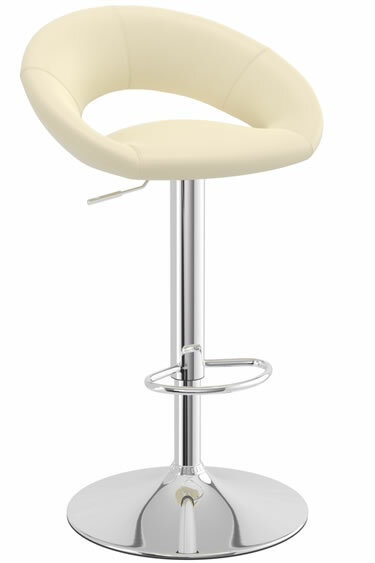 Bar stool has easy clean surfaces and the legs have floor protecting plastic glides. 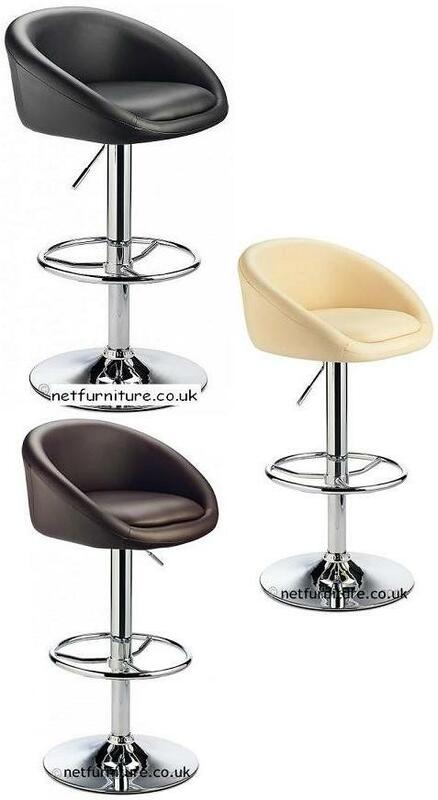 A contemporary bar stool which has the resemblance of a tub chair. 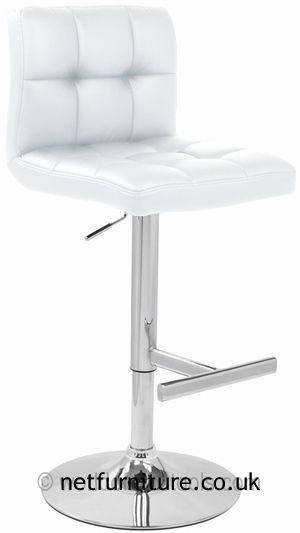 The gss lift mechanism enables you to adjust the height of the stool with ease and the seat swivels. 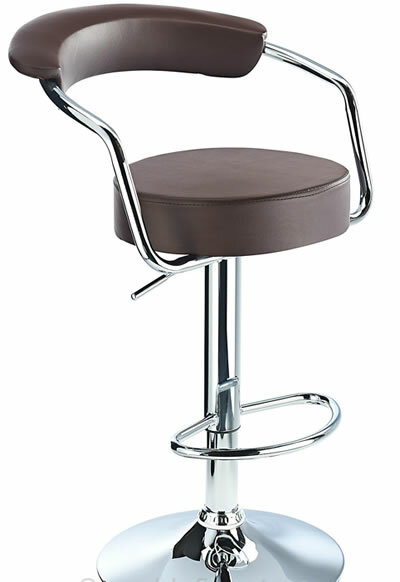 Seat - faux leather and the base is made of highly polished chrome. Colours available: black, brown, cream, green, grey, orange, purple, red, white. 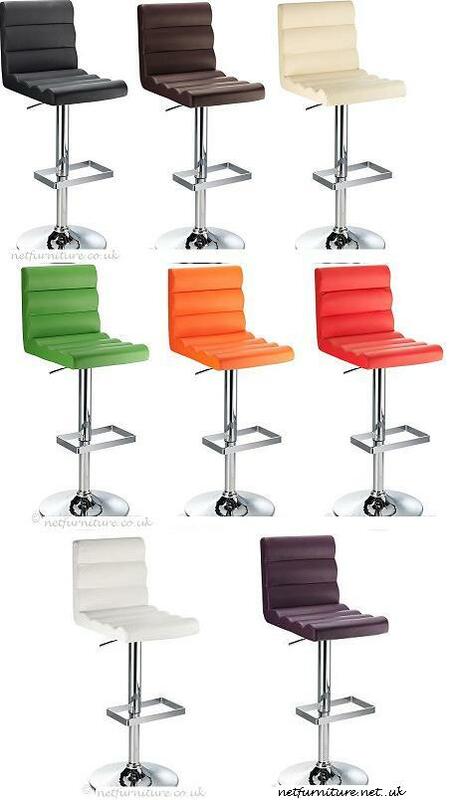 Also available in black,white,grey,orange and purple with brushed steel frame. 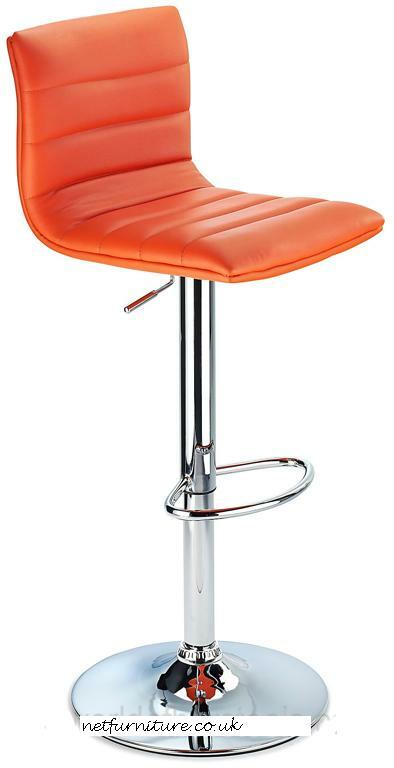 A great bar stool for any place in your home. The molded seat is crafted from high quality Faux-Leather with a sleek backrest for increased comfort. The base is chrome and has a footrest. 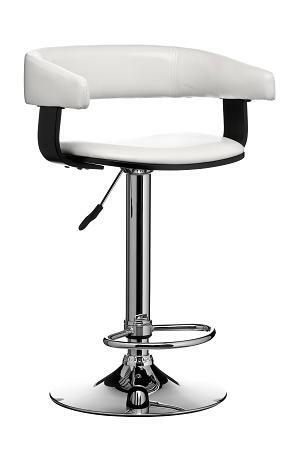 It is height adjustable and has a 360 degree swivel. Its ample seat and back rest means maximum comfort at multiple heights. 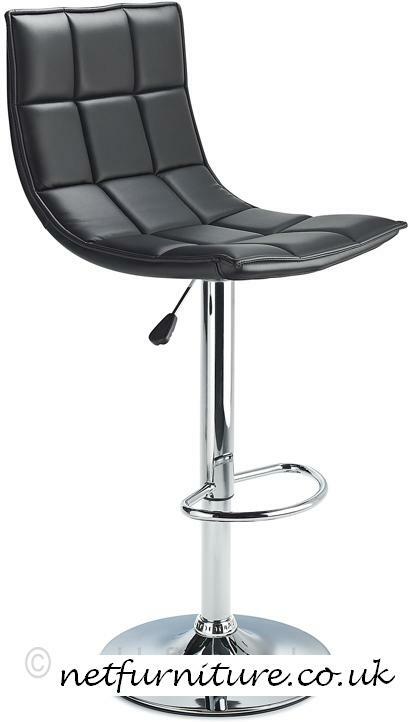 With its sturdy chrome plated steel base, foot rest, stem and foam padded black faux leather seat, its perfect for any occasion. It has an adjustable height gas-lift system with a 360 degree swivel capability and a protective rubber ring on the base to protect your floor. 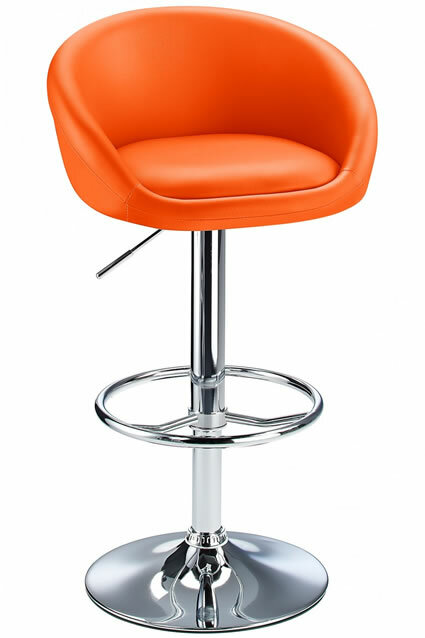 Chrome plated steel frame padded in cushioned faux leather. Gas lift adjustable and swivel. 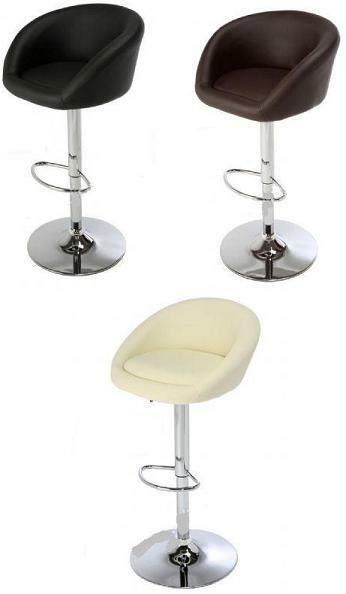 These stools have a curved back rest and well cushioned seat generous enough to provide plenty of comfort for formal or casual dining. They are covered with soft and flexible faux leather and plenty of memory foam padding makes this supremely comfortable. 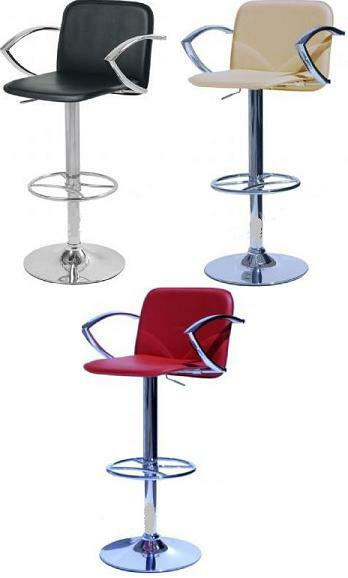 These bar stool have a polished chrome column, circular footrest and sturdy base with hidden floor protector. 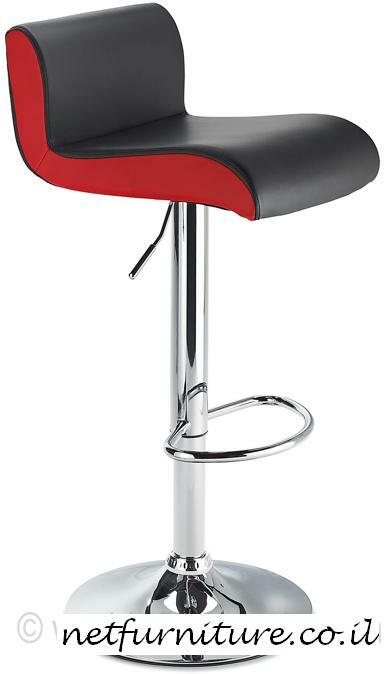 The stool is gas-lift height adjustable and has a 360 degrees swivel action. 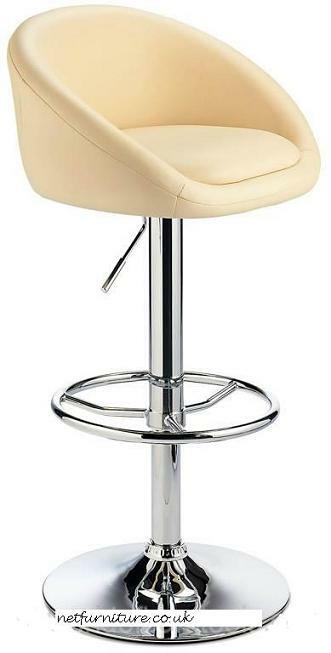 This is a great stool for large or small space and can be tucked away when not in use. Colours Available: Black, Brown, Cream, Grey and White. 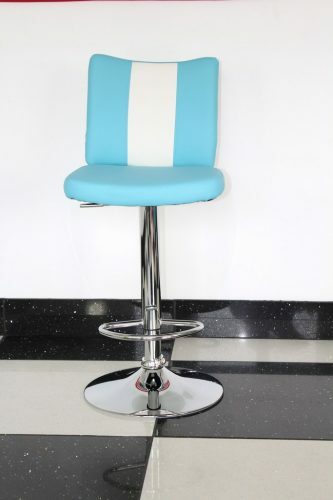 This bar stool is is a very popular stools due to its modern design and attractive shape. 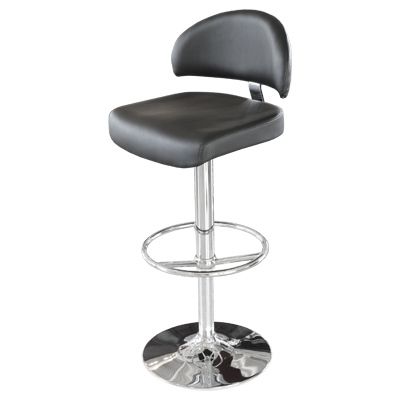 This bar stool has an adjustable height gas lift, 360° swivel mechanism, footrest and back rest that offers good lower-back support. 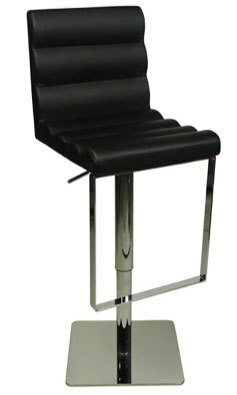 The Sydney Faux Leather Bar Stool has a chrome foot-rest and base with an adjustable height gas lift and 360° swivel mechanism. 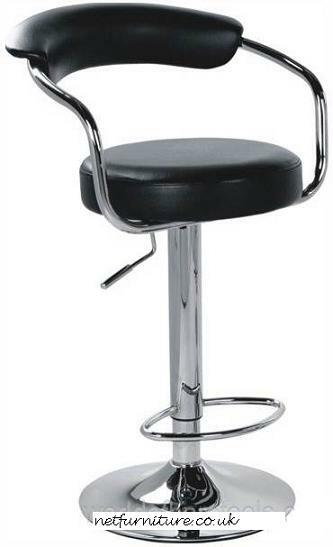 The back rest provides support and the chrome frame provides arm rests for extra comfort. . A wide, sturdy chrome base comes with a hidden floor protector. The Sydney is an excellent choice all round giving a comtemporary feel with the benefit of high levels of comfort. 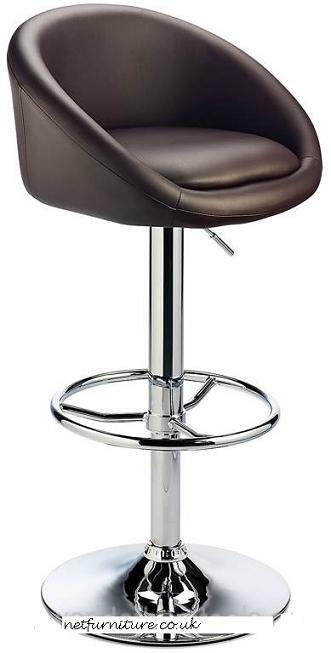 The stool is made of faux leather with plenty of padding for comfort. 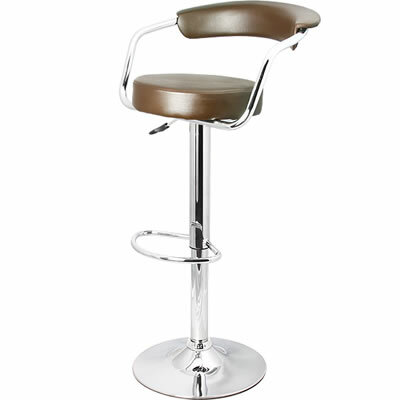 The stool has a chromed column with footrest, a height adjustable gas-lift and a 360° swivel action. A wide, sturdy chrome base comes with a hidden floor protector. 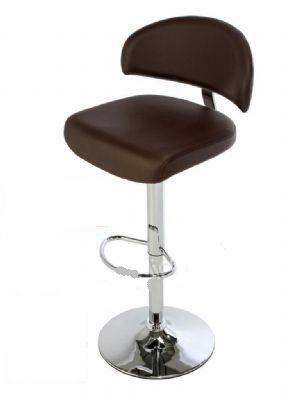 The Peru Kitchen bar stool is a great choice for small or large kitchens or home-bars. 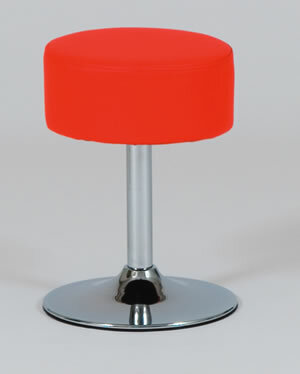 A kitchen bar stool that is small enough to tuck away when not in use. 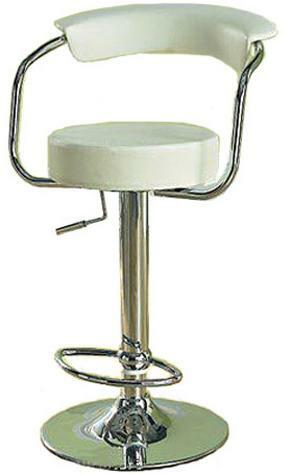 The bar stool has a chrome column and footrest. The stool has a height adjustable gas-lift and a 360° swivel action. A wide, sturdy chrome base comes with a hidden floor protector. 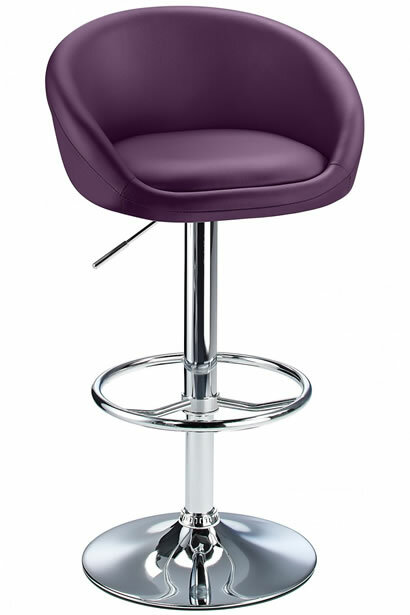 The Spiral Bar Stool is a perfect addition to any kitchen of any size. 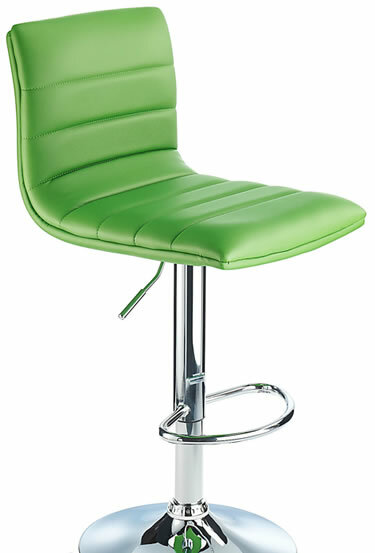 The stool provides a well padded and generous seat and a slightly curved backrest. The seating area is substantial. 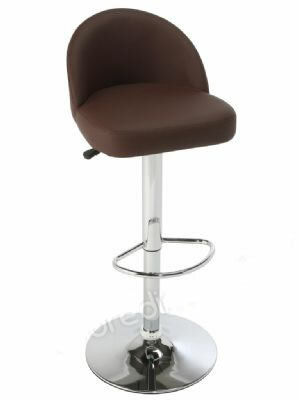 The stool is covered in soft and flexible faux leather which is thickly padded with high quality foam providing a comfortable and durable seat. 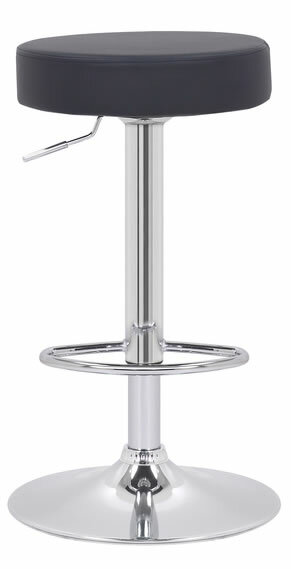 The kitchen bar stool has a chromed column with footrest, a height adjustable gas-lift and a 360 degree swivel action. 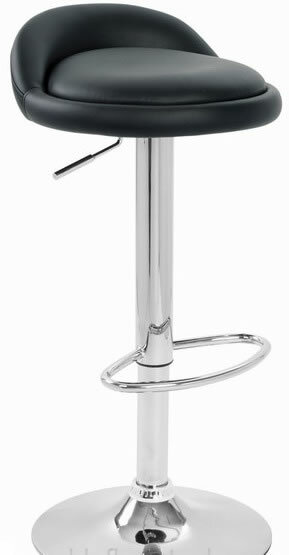 An extra wide sturdy chrome base with a diameter of 45cm comes with a hidden floor protector. 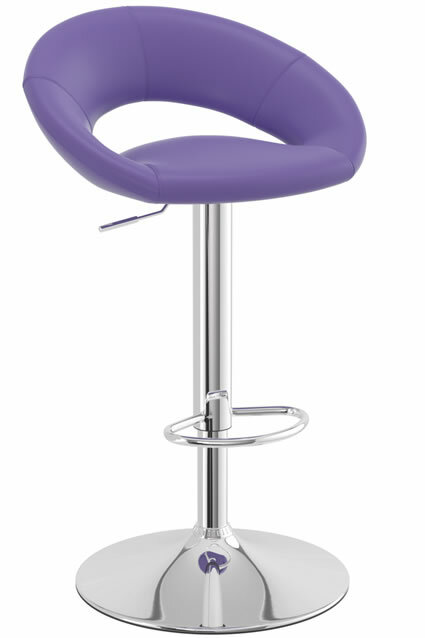 The design of the stool allows it to be neatly tucked away when not in use. 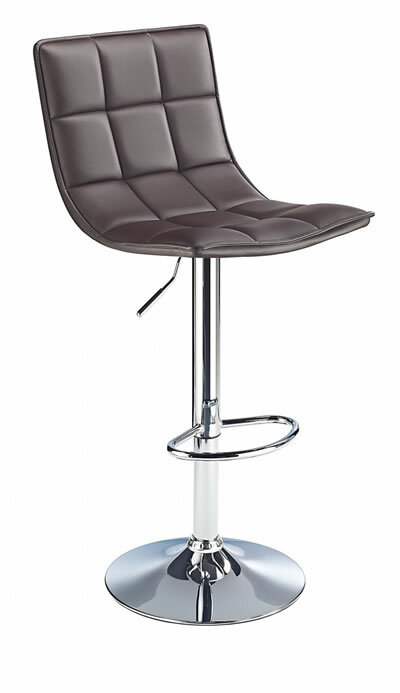 The Vauxhall Kitchen Bar Stool is a firm favourite with its trendy design working well with the bar stools soft and flexible faux leather finish. 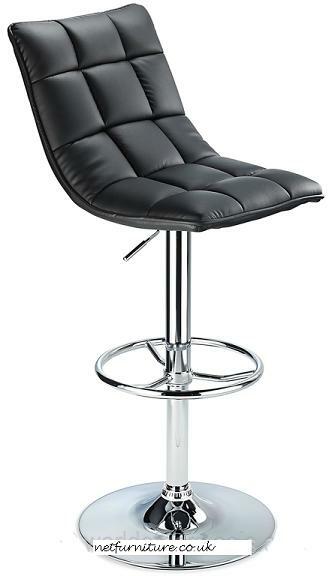 The faux leather well-padded seat provides substantial levels of comfort and makes a great place to perch or dine. The design of the Vauxhall mimics a bucket seat on a stool. This means the stool provides high levels of comfort, lower back support and armrests. 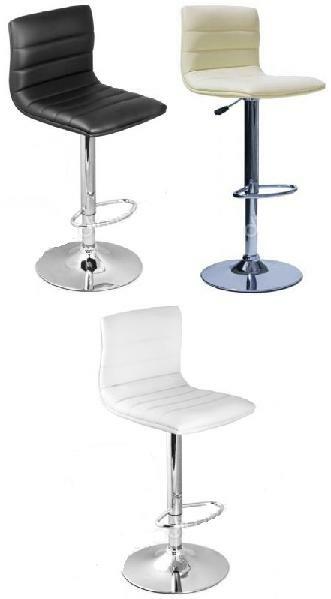 The bar stool has a chromed column and footrest, a gas-lift with a variable height adjustment and 360° swivel mechanism. A wide, sturdy chrome base includes a hidden floor protector.